We are taking some of our youngest most talented players and progressing them in a more detailed program with a bit more competition and focused training. There is a greater commitment within this program with greater benefits. The Academy program will mirror areas of the Development teams of Albion SC while keeping the Juniors centered around a fun, educational environment. · All Academy players will be chosen from the Juniors program teams. 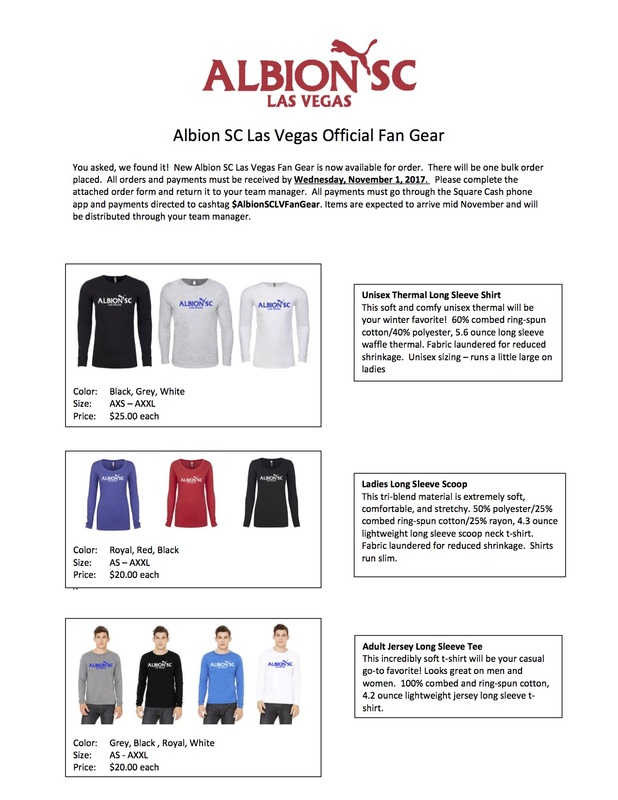 Academy players will be evaluated and placed based on Athletic ability, Technical ability, Knowledge and Maturity as well as space availability and recommendation by Albion SC Training Staff. · Academy players will have the option of accepting or declining Academy placement. · Academy fee will be based on Match Kit, Training Kit, Albion SC Training sessions, and Professional coaching, League and Ref fees. · Academy Team Coach will be licensed to the appropriate level as directed by Albion SC Technical Director. · Academy Team Manager will be the liaison between the coaches and the parents and will report directly to the Academy coach and the Juniors Director. The manager will deal with all administrative matters for the team. · Albion SC coaches will train the Academy team 2x a week as directed by the Albion Juniors Director collaborating with the Albion SC Technical Director. Additional sessions could be offered by coach and/or Director. · The Albion Juniors Director will have direct oversight over the Academy program. · Fundamental, Advanced Skills and Development + FUN!